With features borrowed from the motorsport world, New MEGANE R.S. appeals to your inner pilot. ​The performance of the R.S. is what separates it from the pack, using the expertise of Renault Sport engineers to lead to fantastic results. 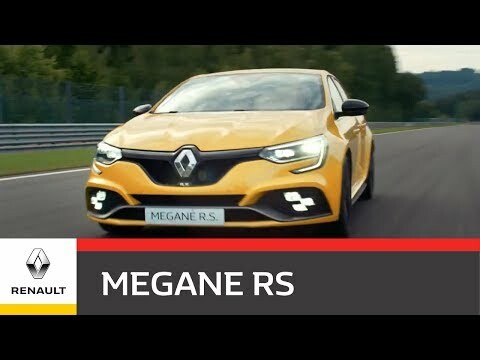 New Megane R.S. comes equipped with the brand new 1.8-litre turbo engine. The engine develops a power output of 280hp at 6,000 and a peak torque of 390NM. For the first time in the history of Megane R.S., we are offering the choice of Manual or EDC transmission. On the Sport Chassis, everyday instances such as speed bumps and potholes are made easier to deal with. On the Cup Chassis, greater performance is provided, with fewer disruptions for the driver.